Television technology has seen significant growth in the last few years to the extent that technologies such as artificial intelligence are now seamlessly been integrated with TV. Redefining the way people interact with television, this Bengaluru-based startup is improving the way people interact with televisions at home in affordable ways. 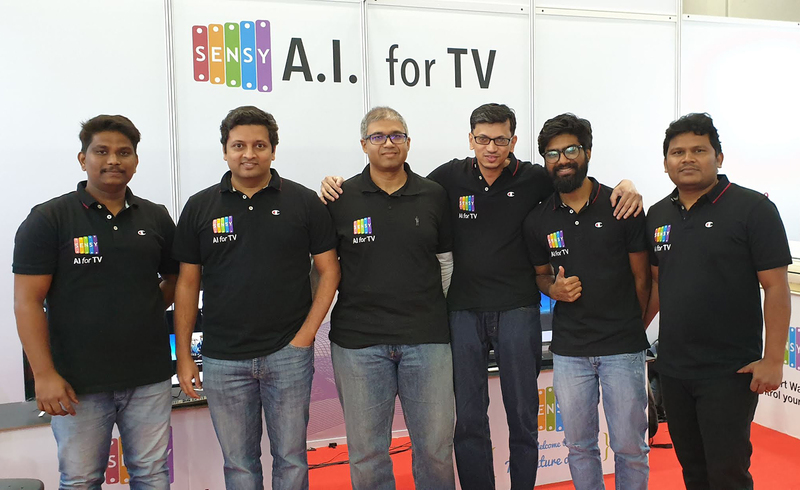 Founded by Bharath Mohan in 2015, Sensara is enabling hybrid TV powered by AI. Currently 25 people strong, the team interestingly analysed Indian viewership data across movie and entertainment channels to study interesting patterns and anomalies to help media agencies and broadcasters to potentially make use of this data to improve their movie channels better. Analytics India Magazine got in touch with Bharath Mohan to understand how they are using artificial intelligence to bring unique offerings in the space. Mohan founded Sensara along with a core team that had worked together in earlier companies to apply AI for televisions and be ready for market demand. As they did foresee TVs to be really smart four years ago, they started building the foundations of it. Mohan believes that television is under transformation. “The TV is consumed more and more on “Connected screens” that allow for intelligent interfaces. Whether a viewer is watching TV on Broadcast or through the Internet – you’ll increasingly see intuitive and intelligent interfaces. You’ll be able to speak to your TV – with or without your remote. Even better, your TV will know what you’d like to watch when you put the TV On. Your favourite stars will get a page for themselves right on your TV – so you can choose their videos from across sources. Sensara builds software that makes all of this happen,” he says. Sensara works with TV Brands and TV Operators powering their smart TVs and smart set-top boxes. To enable this, they have built a lot of AI-based technology focused on television. From voice-based interfaces, to smart recommender systems, they have even built technology that can recognise what actor, product or song you are watching right now so that the TV can respond with better recommendations. “We look at the TV as an intelligent member of the house that should recognise who is home, what she’d like to watch, and help her get the best out of the limited time she has for TV,” says Mohan. Gone are the days of remembering channel numbers and doing appointment viewing. Today’s TV needs to be able to respond to speech and respond to the viewer’s taste in seconds. It does not matter whether the content is available on the Internet or on Broadcast. AI plays a dominant role and the TV is not just a picture tube any more, but a full-fledged computer that is connected to the Cloud. “At Sensara, we license our AI-based hybrid technology stack to TV operators and TV brands. We work closely with them to help them achieve their business objectives. A key aspect of our work is the customer delight it brings – and hence enriches our partner’s brand perception. Viewers spend longer and more satisfying hours on TV, reinforcing their product purchase decision and also growing loyal to the brand. In addition to all this, we bring greater efficiency to their business itself by helping them understand their consumers’ tastes. This helps our partners make more money too,” he adds. Sensara’s technology allows for the TV to recommend interesting options based on what a person is viewing. “Imagine a viewer just watched a song from Simmba (2018) on a music channel. We can recommend ways to purchase the song, or even watch it again on the Internet. Imagine a viewer just saw a cool new mobile phone on TV. We can recommend ways to purchase the product directly from the TV. Our ability to recognise what is playing on TV gives us the ability to recommend “smart actions” right on TV. This brings forth a whole new way of monetisation on TVs,” explains Mohan. The startup covers various areas of AI such as NLP, speech technology, Recommender systems, Multimedia analysis, Personalisation Engines, Predictive Analytics, Product, People, Sound, Logo recognition etc. All of this is applied to the area of Television. It also offers products such as Sensy Fusion which is a flagship product in the making highlighting the best experience consumers can have. It also strongly boasts of TV-first thinking. Mohan says that every device is optimised for different types of usage. Laptops and computers are meant for productivity. Mobiles are designed for short and crisp interactions. The TV is designed for relaxed entertainment at home. Design philosophies and approaches to product need to differ in each. They strive to be the best content discovery system for entertainment, striving to bring technologies that deliver AI-first thinking. The startup has witnessed exceptional growth as they have reached out to thousands of customers through their platform. 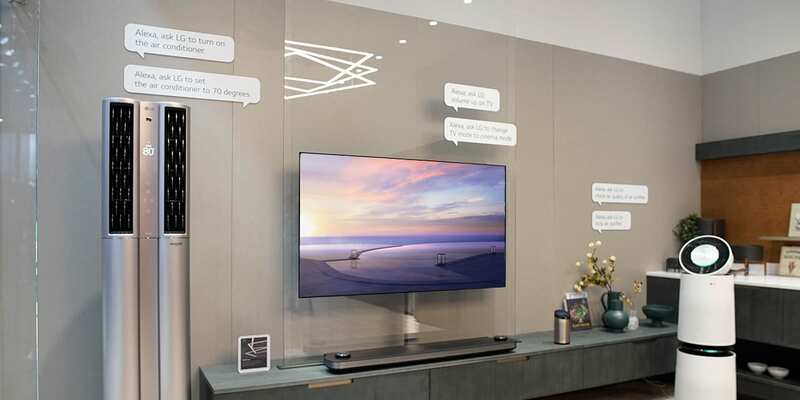 Not just that, the startup has till now seeded their technology in more than a million smart TVs sold by Xiaomi in India and have also partnered with more TV brands such as Hyundai, Blaupunkt, Shinco and Daiwa. “We expect to be closing many more partnership deals soon. We also have a big deal with one of India’s top TV operator coming out soon,” says Mohan. Talking about their association with Xiaomi, Mohan says that they strongly believed how Smart TV really needs to be Hybrid in India because people watch a lot of Broadcast Television. “We then collaborated with Xiaomi to bring forth a unified and strong user experience on TVs. Consumers love this so far, and we are only encouraged to do much more,” he says. They have several other deals in the pipeline that should help them see 5x growth over what they witnessed last year. “2019 will be a year of growth for us as everyone will expect to see AI TVs. We also want to expand operations beyond India,” shares Mohan. While Google and Amazon are big flag bearers of AI in the TV space, Mohan believes that competition will bring out the best in them which will prove to be good for consumers and the ecosystem. “We look at them as giants, and often as partners. Xiaomi itself has built a lot of AI in their TV OS and yet chose to partner with us. There are many B2B and Enterprise software providers in this space too,” he shares.